Serbia has connected West with East for centuries – a land in which civilisations, cultures, faiths, climates and landscapes meet and mingle. 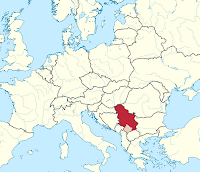 It is located in the centre of the Balkan Peninsula, in southeastern Europe, bordering on Croatia, Hungary, Romania, Bulgaria, Macedonia, Kosovo, Montenegro and Bosnia and Herzegovina. 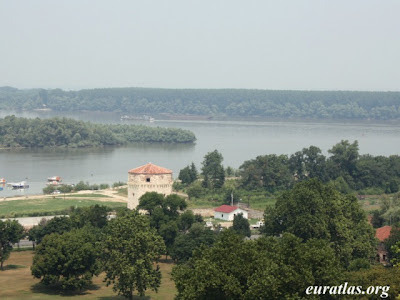 The capital is Belgrade, a Danube city. From the agricultural regions of the Pannonian Plain in the north, across the fertile river valleys and orchard-covered hills of Šumadija, the landscape of Serbia continues southward, gradually giving way to beautiful mountains rich in canyons, gorges and caves, rivers, lakes as well as well-preserved forests. The cultural and historical heritage of Serbia begins with prehistoric archaeological sites and its legacy from classical antiquity. Perhaps its greatest riches, though, are in the many mediaeval Serbian churches and monasteries, some of which are included on the UNESCO World Heritage list. Statistically, the most-visited tourist destinations are the cities of Belgrade and Novi Sad, the mountains of Kopaonik and Zlatibor and the spa towns of Vrnjačka Banja and Sokobanja. Many of Serbia’s environmental problems are strongly related to its historic legacy of a centrally planned economy. Due to the economic collapse in the 1990s, necessary environmental investments to prevent pollution and build infrastructure for water, sanitation and solid waste were not undertaken. Despite ongoing reform efforts, Serbia still faces with serious environmental problems. Air pollution is a serious problem with ambient concentrations of soot, particulate matter, SO2 and NOx exceeding allowed levels. Facilities for energy generation and industrial plants with deficient air-cleaning technology are key sources of air pollution. Emissions from burning of low quality coal in the power plants continue to cause major problems. Air pollution from transport, manufacturing industries and construction increases; noticeable, leaded petrol and high sulphur diesel continues to be used. Untreated industrial and municipal wastewater, agricultural run-off, leaching from dumpsites and contamination from transports on rivers are the key sources of water pollution in Serbia. The Sava river, an affluent of the Danube, is affected. Even major towns in the country do not have municipal waste water treatment plants. The quality of drinking water is generally unsatisfactory. However, significant regional disparities exist. The water supply network is old and inadequately maintained, with huge losses in the system. Most drinking water sources are not sufficiently protected from point and non-point source pollution. The general state of waste management, waste recycling and safe waste handling in Serbia is poor. Only about 60% of municipal solid waste is collected in Serbia. The most acute problem regards hazardous waste, which is not separately collected but dumped without pretreatment on regular waste dumps. There are no treatment plants or disposal sites for hazardous waste. Waste disposal sites generally do not meet the technical requirements of sanitary landfills. There are also hundreds of illegal dumpsites of different size in rural areas. Soil erosion processes are estimated to affect up to 80% of agricultural soil in Serbia leading to loss of agricultural productivity. Soil quality is also affected by use of polluted water for irrigation, inadequate use of fertilizers and pesticides and dumping of waste. Large land areas in the vicinity of industrial complexes are contaminated with various pollutants discharged from industrial facilities. Forests and woodland cover 28 % of the total territory of Serbia. Due to a relatively low road density in forest areas, accessible areas are frequently over harvested, while other areas are harvested with very low intensity. Forest quality and growth are threatened by many factors, including over-harvesting, illegal logging, forest fires, and pest infestations. In 2006, 642 species were reported as threatened in Serbia, 66% of which are plant species and 34% fauna. The impacts of uncontrolled tourism, illegal construction activities, transport and forestry on nature protected areas are of particular concern. Assessments of projected climate change for the European sub-region, including Serbia, are generally uncertain. However, the mean annual temperatures are likely to increase more than the global mean at the end of this century. The warming is likely to be largest in summers, annual precipitation is very likely to decrease in most of the region, and the risk of summer drought is likely to increase. Further projected consequences of climate change include: increased pressures on water resources, increased risk of flooding, erosion, and wetland loss; deterioration in soil quality and altered natural ecosystems, etc. The consequences of dictatorial heritage and wars are still profound: most of Serbian society is insular, politically disoriented, passive in the face of authority, lacking knowledge of democracy and democratic institutions, suspicious of Western and European standards of human and minority rights, and, in the aftermath of a continuous ten-year drumbeat of nationalist ideology, deeply intolerant. There is no consensus on partnership with civil society and it seems that the Government is accepting the presence of NGOs mostly because of pressure from the international institutions. Ideas such as citizens’ participation are viewed as not a real issue and pushed aside by all political factors. Most CSOs do not have volunteers on a regular basis and volunteering is characterized mainly by informal assistance to neighbours or family members. The public does not practice a culture of giving, since charitable giving occurs only in response to tragic events or conditions of hardship. Charitable giving on a regular basis and in a systematic manner is still not common in Serbia, mostly due to the restrictive economic situation and the lack of trust among citizens. The perception of strong apathy and disengagement of Serbian citizens from civil society is widespread and citizens participate in CSOs’ activities rather superficially, even in cases when they are actually members of such organizations. The geographical distribution of CSOs exposes the clearly urban character of these organizations. Correspondingly, representation of the rural population and the poor in membership and leadership of CSOs is very limited. Very few citizens are members of environmental protection organizations and only 1% of them believe that the civil society’s role in environmental conservation is significant. There is also a widespread belief that ecological activities are reduced to campaigns dedicated to certain dates or ecological incidents and that they are often reduced to individual activities in which only a small number of people are involved. Moreover, the projects of local ecological NGOs have low budgets and are earmarked for resolving small specific problems, while greater problems such as industrial pollution, waste waters and sewerage must be solved at a higher level and by employing greater resources. In Serbia, systematic nature conservation work does not exist. The greatest problems are low standards and the widespread opinion that the issue of ecological damage is far less important than the source of income which the perpetrators of ecological damage provide to the people they employ. CSOs make a considerable contribution first and foremost towards shaping the ecological awareness of the broader public. According to OECD there are about 18 environmental taxes in Serbia, among which 3 regard fuel and vehicles, 3 regard air pollution, 4 regard water, 2 regard waste, while the remaining 6 refer to use of resources and nature protection. There are also two environmentally motivated subsidies with the purpose of waste minimization and providing incentives for investments in cleaner technologies and environmentally friendly activities. Environmental legislation in Serbia consists of a large number of laws and regulations – more than 100. Among other areas, these laws cover: planning and construction, mining, geological surveys, water, soil and forest protection, flora and fauna, national parks, fisheries, hunting, waste management, safety of chemical production and trades in the market, trade and transport of explosive and hazardous materials, protection against ionizing and non-ionizing radiation, nuclear safety. The majority of these laws are harmonized with EU legislation. For example, in 2009 alone, the National Assembly adopted a package of 14 laws within the competence of the Ministry of Environment and Social Planning that were harmonized with EU legislation. Generally, the social responsibility of companies in Serbia is limited, with only some large companies taking action. Although some awareness exists, this does not necessarily imply readiness for engagement – this is indicated by the fact that conservation of the environment (the topic most often associated with CSR), is at the same time also assessed as the most neglected topic, i.e. the area in the worst condition in Serbia. Topics stated as being the most pressing for Serbia (in field of CSR) at the moment are: business ethics, laws, safety of products, and relations with consumers. However, companies state these topics as being the most important do not state the activities which they carry out in practice in these fields. In 2004, a group of individuals, institutions and economic entities named the Responsible Business Initiative (RBI) initiated a project with the main goal to promote and standardize the area of Corporate Social Responsibility in Serbia and to initiate various activities involving cooperation across several sectors. RBI is a project of instigating and institutionalizing the concept of Corporate Social Responsibility in Serbia. RBI tends to engage the private sector in meeting the complex social challenges which our present society faces.